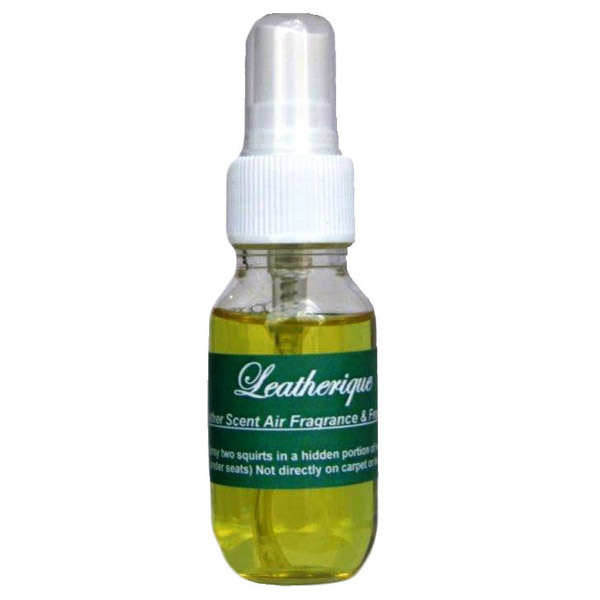 Leatheriques premium Air Fragrance and Freshener formulated with unique fragrances engineered to smell great. Its superior perfume quality provides strong deodorizing capabilities, which will last week's not days. One spray is all you need for a full size vehicle. Simple spray in a hidden portion of the vehicle (under seats). Do not spray directly on the carpet or fabric, mist lightly in the air to spread the scent more evenly. It is a great way to create a clean and fresh scent in auto, truck, Caravan and oat interiors.